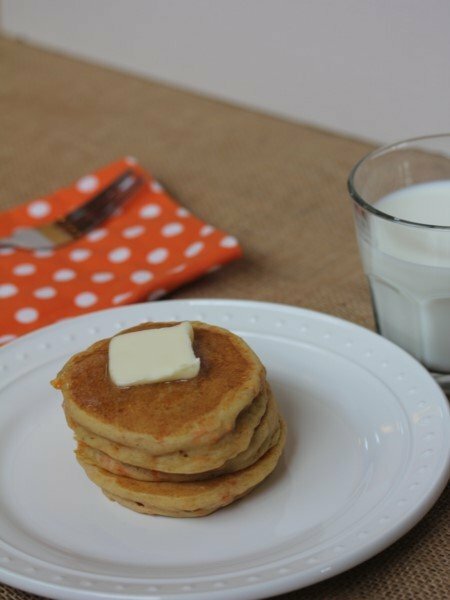 These gluten free carrot cake pancakes are a fun and delicious way to change up your basic pancake breakfast. 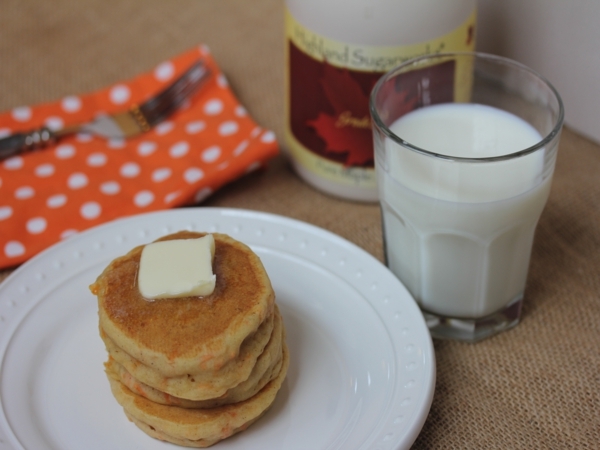 I have seen carrot cake pancakes all over the internet lately. They all looked delicious, but none of the ones I saw were gluten free. I knew I needed to fix that and come up with a gluten free version that my family could enjoy. 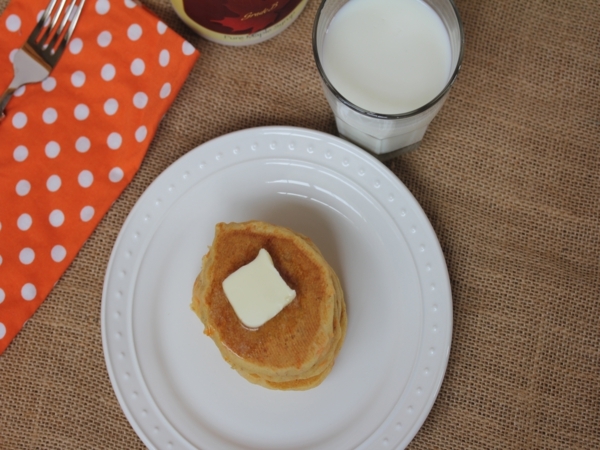 I started out by taking one of my favorite gluten free pancake recipes and added carrots to it. It was a little thick with the carrots added, so I had to increase the liquid a little bit. I also changed up the sugar and used brown sugar instead of regular white sugar. I thought the flavor would go better with the carrots. And since I was going for a carrot cake taste, I added cinnamon to it as well. 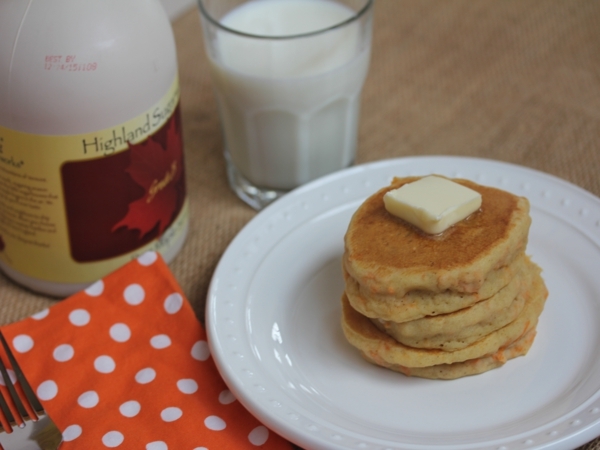 A lot of the recipes I saw online for carrot cake pancakes had a cream cheese icing or topping. I wanted to keep these a little healthier so I just served them with butter and maple syrup. The flavors worked great and we loved it. And as far as the butter. That large chunk of butter you see in the picture, well it was just for picture purposes only. We split that big piece of butter between three of us. I didn’t want you to think I ate all that butter. Although I am sure it would have been delicious, it would have defeated the trying to make them healthier part. Add in the remaining ingredients, except carrots, and whisk until combined. This batter will be a little lumpy.